Looking for some resources and tools to help you with your business? Here is a list of recommended tools and resources. 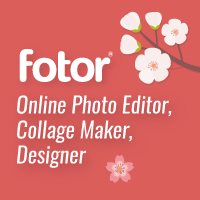 Fotor Photo Editor is a free online designer and editing tool catering to all your photographic and image creation needs! Add filters, frames, text, stickers and so much more! We believe anything is possible with the right website builder. Whether you’re about to create a website for the first time or you’re a long time pro, we’ve got you covered. You have two ways to start: Get a free website designed for you with Wix Artificial Design Intelligence or get total design freedom with the Wix Editor. It’s time to get your professional website.